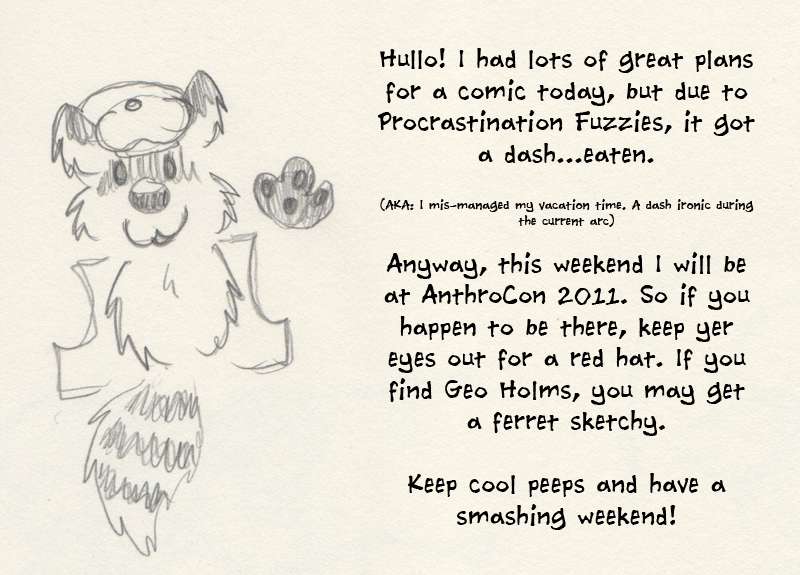 As you can tell from above, yes, I'm gonna be at AnthroCon 2011 this weekend. You my follow my progress at my Twitter feed. If you happen to be there, seek the red newsboy cap. More from this odd interlude later.